Kodi can be run on many hardware platforms and is a very versatile media center. Popular hardware options include the Fire TV Stick and Android TV Boxes which can both run Kodi. Often the question comes up, which is better to run Kodi a Fire Stick or Android TV box? So lets break down the main differences. The first generation Fire Stick had a Broadcom BCM28145 Dual Vore 1.2 GHz processor, 1GB RAM, 8GB Storage, 802.11n WiFi, and Bluetooth 3.0. The new second generation has a Mediatek 8127D Quad-core ARM 1.3 GHz processor, 1GB RAM, 8GB Storage, 802.11ac WiFi, and Bluetooth 4.1. The video output resolution is the same for both with High definition 720p or 1080p. The size is smaller and plugs into the back of a TVs HDMI port out of the way. This gives the Fire Stuck some good hardware but starting to show its age especially with 1GB of RAM. Android boxes come in all shapes and sizes and hardware from a S805 Box to the new smaller Nvidia Shield with a Tegra X1 processor and 3GB of RAM. Since the Nvidia Shield hardware is much faster than a Fire Stick most would not include it since the price is much higher. A comparable priced 2017 android TV box will have a good processor such as a S912 and 2GB of RAM. Other features include USB for a nice remote control or external file storage with a flash drive or hard drive. While most use WiFi android Tv boxes have a Ethernet port which is nice to have when a WiFi signal is bad. This gives Android TV boxes the hands down winner when it comes to hardware. The Fire Stick has the best price currently at $39.99 dollars which is a nice deal. 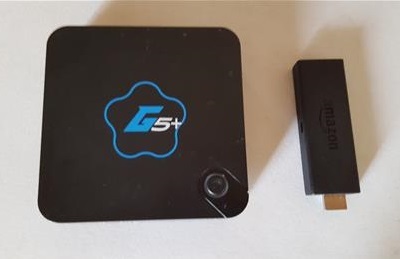 A good low cost android TV box can be had for under $50 dollars which is not that much more. While there are cheaper android TV boxes available the hardware has become too slow with the $30 dollar units. This gives the advantage to the Fire Stick but only by a few dollars. The Fire Stick will need to side load Kodi which is a bit technical and not for everyone. Amazon does not give access to the Play Store or an easy way to download the APK from the Kodi site. 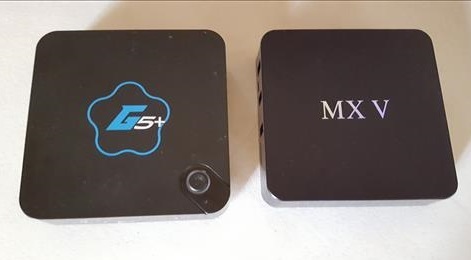 Android TV boxes in comparison, are easy to setup with Kodi by simply going to the Play Store and clicking install. Most new android TV boxes can also run video up to 4K ultra HD video. The Fire Stick can only run up to 1080p. This gives the android boxes the clear winner for setup and playing videos with Kodi. Both the an android box and Fire Stick will run Kodi and often it comes down to cost and what you have available. If cost is no factor then the new Nvidia Shield is the best options to run Kodi by far. If you already have a Fire stick it would be a good option that by getting a bit technical will have Kodi up and running. For those who are looking for the best buy I would stick to an android TV box for all around ease of use with many different price ranges. Read Here For Our Picks of Best Android TV Boxes To Run Kodi. Ok so I’m not a tech person what so ever! I’ve read all the comments and still feel confused so let me try this…..i have a jail broke firestick that seems to have gotten slower…update needed I’m. Guessing. I’d like to cancel my cable and put something similar to firestick in all of my tv’s. BUT i need this product to be easy to travel with. So i need the best option out there to give me access to any and everything. While watching a movie on fire stick it keeps pausing i have to click on the play. Why does this happen? Not to sure. … Your not the only one who’s made this statement .. The Nivdia Shield is hands down best period, install any apk, multiple kodi /spmc builds. 3 gig of ram and nothing slows it down. Never any issue or reboots. I’ve tried the Android boxes. Most are a joke. Best by far Amazon fire box for money if you are hard on cash. How does this movie box compare to the first gen boxes that can’t be updated Which are worthless? The stick will run a lot more than Kodi. 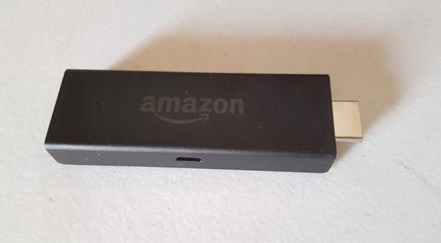 How to add App for my Amazon Prime account to my TV Box? So im lost…what is the best of the best of all ? Why is the shield the best to run kodi ? I am debating on getting one but if a fire stick does the same thing. Put aside specs and a remote. Functionally will there be a slow down through menus or choopy video on a fire stick where it wouldnt be on shield ? What difference would I see side by side ? I own a firestick version 1, menus navigation is fine and video is buttery smooth, the problem is the low storage, after few addons menu navigation, reboots etc becomes slow… but still acceptable. Can exodus add on be put on to a chromebook running kodi? If so, how? ?